Every year for Christmas we try to do a blog post with a fairly large amount of content to celebrate the season, and this year isn’t any different in that regard. We’re a bit early this time around (for once!) but today I’m super excited to announce First Snow. 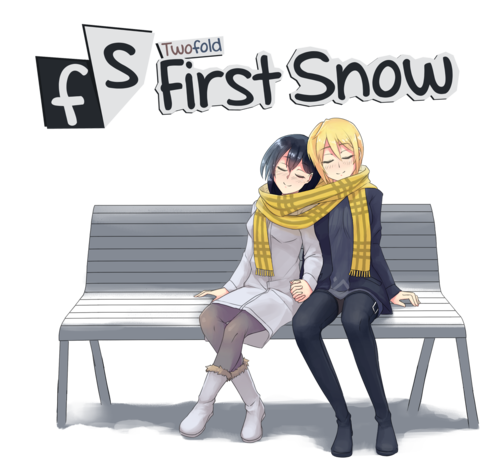 First Snow is a new, full-length visual novel we’ve been quietly working on for quite a while now, and its focus is on Eileen and Allison’s relationship and takes place roughly a year before Twofold begins. We wanted to create something without detracting from Twofold’s own development too much, so a side story where we could re-use a lot of the created assets seemed like a perfect fit. To minimize the impact on Twofold, Mehkanik is still working on that script while First Snow was worked on by a second writer, Suriko. It’s really great to be able to talk about this openly now! We’ve opened a mini site for First Snow, so please check that out here! It includes a better summary of the VN, a small handful of screenshots and a music preview from our new composer, GIJames. 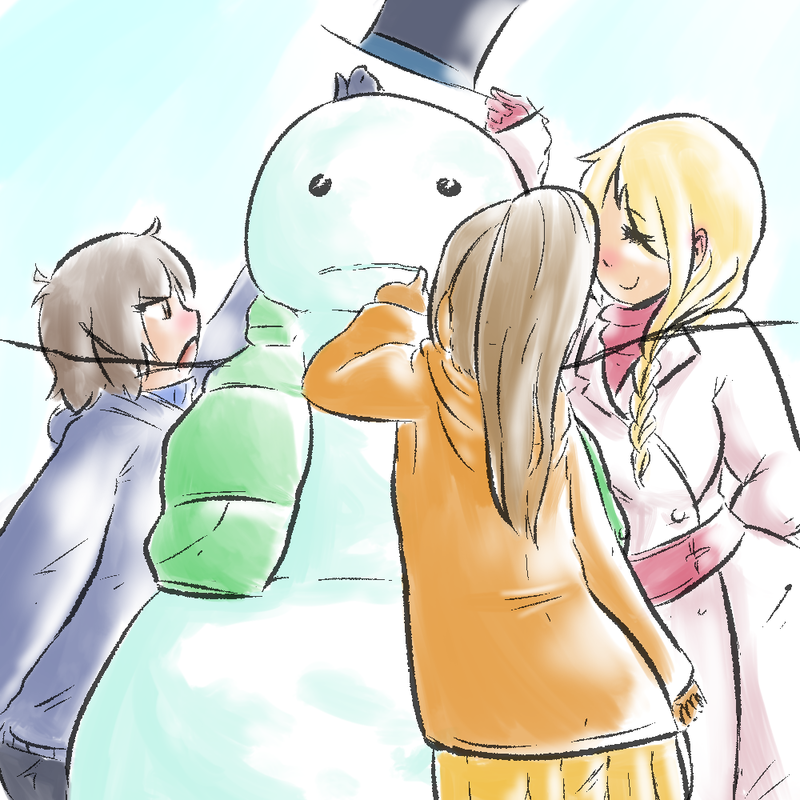 Happy early holidays, everyone, and thanks for being so patient with us this past year! It’s been a fairly large amount of time since our last real update. As we expect another long period of time before our next large post, we want to give you a sort of stop-gap until the end of the year or so. Of course, Paper Trail will still have smaller updates and the like, so please keep visiting if you enjoy those! To start with, writing is probably one of the things we’ve kept under wraps most for the past year: it’s been a mixed bag with a lot of ups and downs in terms of progress and the approaches we’ve taken to it. A large focus for us right now is eliminating a lot of the fat that’s sort of built itself up, so we’ve been working on trimming the size of the script down quite a bit. Along the way things got a little muddy in terms of story direction, so we’re hoping that cleaning everything up will help us get the writing out faster and better. In general, writing progress has been the largest struggle we’ve had to face, but things recently have been lookin’ up and going in the right direction. After the demo released we said we planned to move to a new engine. It’s still being worked on, but there’s not much to report on publicly for now. Shiz has shown interest in writing some Paper Trail posts about its design though, so if that’s your kinda thing, keep an eye on that front! 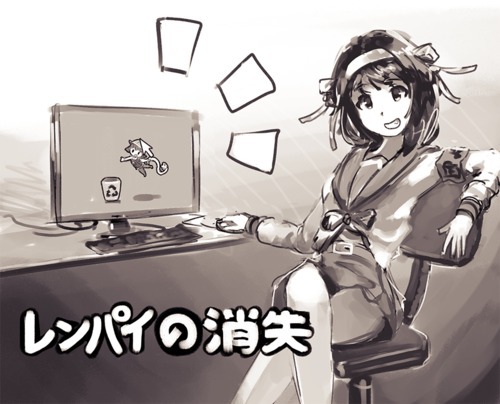 Alongside its development we’re still internally using Ren’Py for builds and tryouts for the time being, so we’re able to stay productive on all other fronts and don’t stall. As a side-note, our team has grown a tiny bit over the past year, and new people are doing some really cool stuff. Secret stuff. Can’t talk much about that either yet, but it’s neat. All in all, the past few months have been sort of large for us, but nothing exciting to talk about publicly… yet. We hope to have something cool to show you around the end of the year but until then, we’ll end this post with some asset work to digest. First off, since some of you have been asking, here’s a sample from the post-demo OST! We’ve been putting our new addition to work and after some initial adjustment and tuning, we think it matches our style really well. Oops! It seems your browser doesn't like any of the audio formats we tried to offer it. Maybe try a direct link? And secondly, a background for the second half of the VN, which will take place in winter time! We hope to provide a nice comfy atmosphere during key parts of it. Soo, that’s about it for today. ‘Til next time! Hiya, this is Shiz and I’m here to give an update on the engineering side of things. Shortly after releasing our demo, we expressed sentiments about wanting to move away from Ren’Py to a custom engine for Twofold. Today I’m happy to announce we’re ready to release it into the open! We’ve decided to port the old demo to the new engine, since we figured it’d be a good test for the engine’s capabilities and performance. The engine is still under development, so it’s missing some bits of graphical shininess here and there, but thanks to trimming content now made redundant we managed to cut the demo size down by about 200MB! In addition, it allows us to distribute a single release for the game that can run on any platform the engine supports, now or in the future, thanks to an auto-detected pluggable rendering system. So far, we’ve been very happy about how the engine is progressing, and it has allowed us ease of development we’d never seen using Ren’Py. Porting the demo over was, aside from a few quirks, relatively smooth and saved us from numerous bugs we had encountered previously. If you’re as excited as we are and wanna give it a whirl, you can download the ported demo here! We’re obviously very curious on how it will perform in the wild, so please feel free to report any bugs or other issues in the comments down below. Happy New Year! As promised back on Christmas, today we have a relatively large announcement for you sink your teeth into. Okay, first off: Work in Progress is now officially called Twofold! Changing the project’s name twice was something we definitely had some concerns with, but in the end decided it was necessary. The last name was never super popular and was hard to search for (“Work in Progress VN” shockingly returned a lot of things completely unrelated to us!). 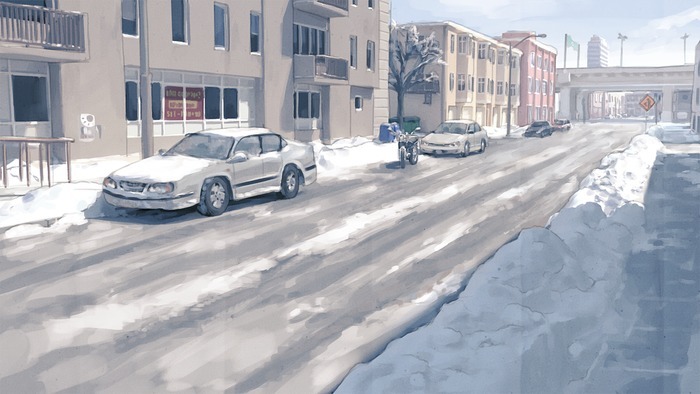 Twofold, we think, is a lot more pleasant and overall represents the story and themes of the VN more than WiP did. We hope you agree! Secondly: Our website was hella old. Hella hella old. Skinny Mekkis, light tan textboxes in screenshots, outdated pieces of story content and tons of other nightmares. That, thankfully, has been rectified – check out our new site here! The entire thing’s been given a facelift, from the images to the bios and story summary! We’ve also updated all the old screenshots and even threw some new ones in there, so please check out everything! Applying a fresh coat of paint is always an exciting thing, so we hope you enjoy poking around the new site as much as we enjoyed getting everything ready (well, excluding our crunch-time terror I guess). Merry Christmas everyone! Typically we have pretty large updates this time of year, and this time was meant to be no exception. However, due to some inconvenient planning during the holidays we weren’t quite able to eke out our large update. Instead, we’ll be pushing it out on New Year’s Day instead, and we think it might work better thematically that way regardless. We know that “updates hinting about another update” are typically lame, but we didn’t want to leave you waiting out in the cold today. Here are two quick pictures to tide you over, see you next week!